If season four was Game Of Thrones at its most bloodthirsty, then season five was the show at its most brutally meme-abale. 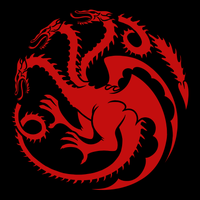 Well on its way to becoming a world-swallowing phenomenon, this was the season that earned the show’s first Outstanding Drama Series Emmy (one of a record-setting 12 wins that year), that inspired such insatiable hunger for early leaks that HBO halted advance distribution of all episodes, regardless of series, via DVD. It was no longer at the height of its storytelling prowess, and it was operating entirely without the source-material net, but Game Of Thrones was enough of a worldwide sensation in the spring of 2015 that it could generate a widely beloved internet goof from an otherwise bone-chilling development in the war between the living and the dead. 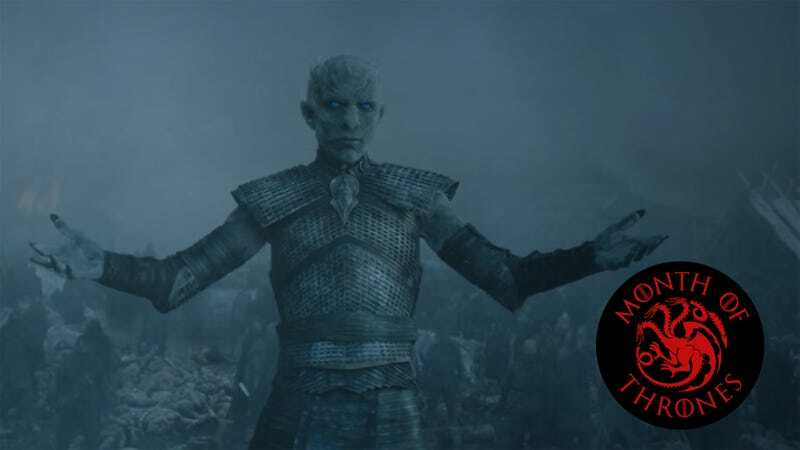 I write, of course, of the Night King raising his hands (and the many fallen combatants of Hardhome) in Jon Snow’s general direction, a gesture of intimidation that’s also readily slotted into familiar online frameworks from “¯\_(ツ)_/¯” to the more traditionally confrontational “come at me, bro.” It’s the most indelible image from an uncharacteristically hectic battle, a moment of quiet defiance after 20 minutes of snarling, gnashing, and screaming. It’s unmistakably a taunt, from a character who’s just debuted in earnest. (“Hardhome” didn’t introduce the Night King, but it established his place at the top of the White Walker hierarchy.) From on high, he witnessed the Lord Commander discover a heretofore Walker vulnerability; separated once more by distance, he demonstrates just how many bodies Jon needs to run Longclaw through in order to keep the threat north of the Wall. Dany gave viewers her own words to endlessly recycle, pledging to her latest ally, Tyrion, “I’m not going to stop the wheel, I’m going to break the wheel.” It might not be as catchy, but Arya’s “Oysters, clams, and cockles!”—part of the disguise that puts her in close proximity to The Faceless Men’s latest target, an unethical insurance broker—has a nice sing-song-y ring to it. See more content like this on "Season Five"